+included a freefont version (Aller+Kontrapunkt) for the overlap conky, dockicons and emerald (fonts in the pack) - why usin ge, if there are such nice free fonts? hi, glad you like it. 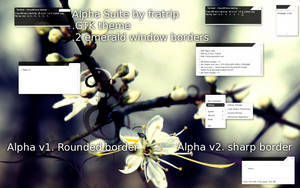 but the conky is included in the download file. Ich hab diesen Style schon oft benutzt und jetzt möchte ich mich bei dir bedanken für meiner Meinung nach einer der besten GTK+ Styles die es gibt! Sieht echt super aus! 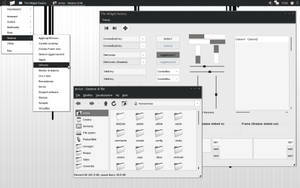 If you can help me i need a tutorial to learn more about gtk theme I creat my first theme but it still always not as good as I want and thanks a lot for everything .. Very nice. 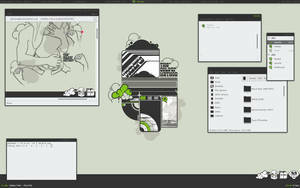 I like your desktops. I'm trying to guess how you did conky - without success. Could you share or point me in the right direction ? Is that 2 conkys ? But it's Ok! still experimenting.. 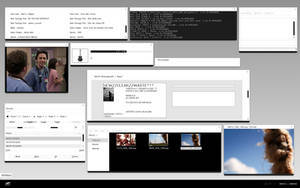 I'm not using compiz so I don't have transparency. When I'm done I'll post a screen shot to you ! 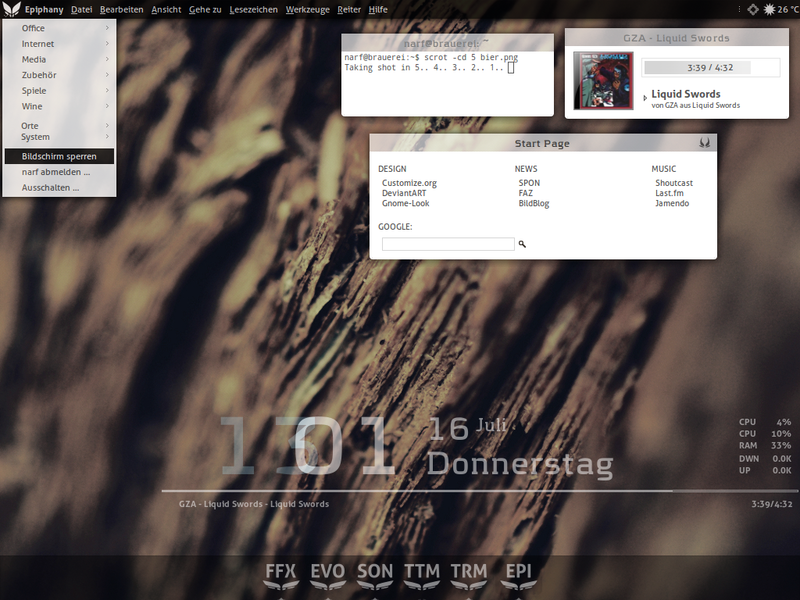 Last, but not least, still didn't understand what to do with conky to make it work (i know i am terrible!). 3) right click to start.sh > properties > permissions > allow executing as a program. 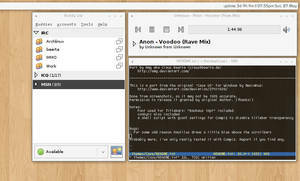 4)launch conky in terminal with command: "conky config -c /home/cnk_free. Is it all? Sorry for wasting your time and thank you once again! 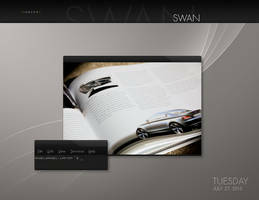 Now I've got awn, emerald theme, and conky working, and it's really amazing! 1) I've copied the theme folder Biergarten to /usr/share/themes, but now I don't know what to do to "apply" it, so I still have the Ubuntu default clearlooks. I have also tried the other way, (making the link) but still don't know what to do next. 2) All the conkies are working, but actually they are making a little bit mess each other. I don't know if I can post you a link with a screenshot I just made. Anyway the problem is that they are all in the center of the screen, and the first one on the left (the hour one) is just showing a number --> now it is 1.35 am and it says just "3"! They have also a border for each box (I think they are taking it from emerald). 3) could you explain me (I swear this is the last .. about this theme I mean!) how to set conky autostart when i restart the computer? give it a name, f.e. "conky" and than the next line "/path/to/start.sh"
I have moved the conkies more on the right (with the gap x...) but still the two oh the hour and minutes are making a mess. Here is a screenshot I just made. Furthermore, you can see in both pics that if I browse the folders or the bars (for example: applications, accessories, terminal) the "active bar" is all black and the background is all white, while in your preview there are some transparencies. Could you tell me how to get that? I guess it's not included in the theme right? You're teaching me a lot! It's strange, cause it seems not to understand what "opacity" means! I've gone to ccsm opacity, brightness... and created, in the first tab "class=Conky" and, in other line, "Tooltip | Menu etc." The thing is they just become more or less bright, not transparent, and it's strange, because I am putting this setting in the tab "Opacity" and not "Brightness"! I've tried all the values, and really don't know what to do! Do you think it could be a driver problem? I don't think so, cause I have set the terminal with transparency and of course it works! p.s. : Thanks for the conkys tips, I am trying different settings to have all the staff working properly. 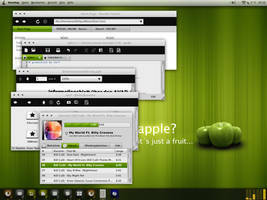 have you used the freefont conky with the freefonts, and have you installe the freefonts? 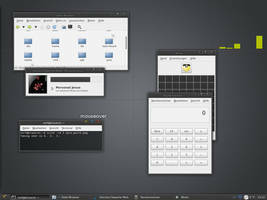 Shadows: open ccsm (if not installed, install "compiz config settings manager") and go to section "decoration", shadows for windows: change the entry from "any" to "any & !(class=Conky)"... large C at beginning of "Conky"!!! I'm afraid I'm still missing something. 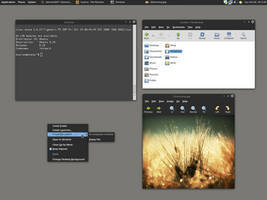 I don't want to bother you, but I am still new to gnome (as you can see...). First of all, I've some problems with Emerald themes. Emerald theme manager imports them (both of us) and I can see them in the preview, but when I select them nothing happens! 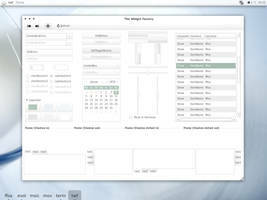 Secondly, I don't understand how to import the gtk theme. I was used to import tar.gz package directly from appearance>themes>install, what do I have to do with the folder gtk-2.0 in your package? 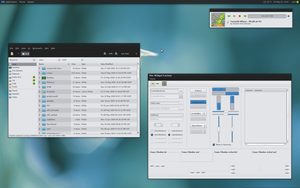 did you install the ccsm (compiz config settings manager)?? "sudo ln -s /home/your home/.themes/biergarten /usr/share/themes/biergarten"
I'm trying to install it, but having some problems with conky settings. How do I get all that conkies in the same desktop? I've read the readme in the package, but didn't really understood what to do with the starts.sh and other conky1,2,3,4 files. Thx and congratulations for your work! I mean I've read the posts before, but actually in the document start.sh in the folder cnk_free there are named 4 files, not just 2. And I changed the directories, but nothing happened. 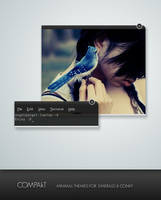 Hey man, awesome work, just wondering, how do you get transparency in the conky text? Thanks! And here's the amazing stuff... again (jumped here from Gnome-Look).